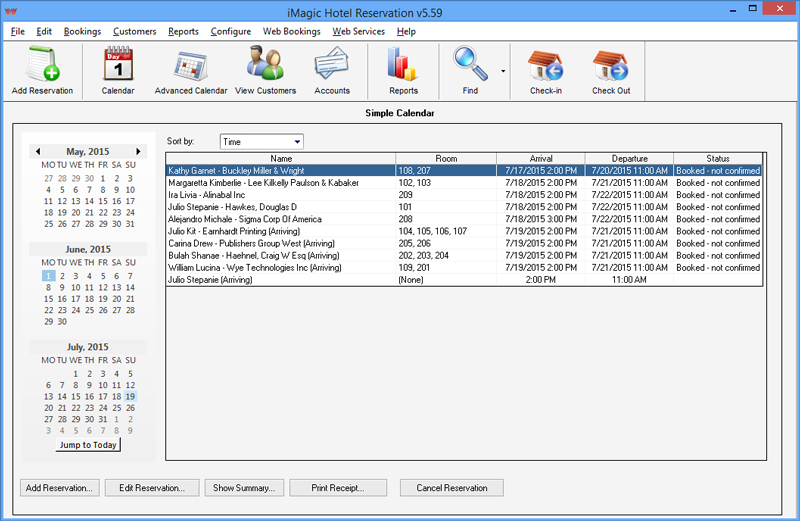 iMagic Hotel Reservation is the perfect software for all hotels, Breakfasts, Small Hotels and Guest Houses. It has been recommended by experts as the best and most reliable software for keeping records and staying updated with everything happening in a hotel. This software has been recommended for hotel owners, managers and also workers who love easy jobs. With this premium software you don't need files to take records/dates of events. Our software comes with a lot of premium features that most expensive software's do not have. This software was modeled based on a clear evaluation/survey of the most pressing issue that all hotel owners encounter and this is our gift to all hotels. This wonderful hotel management software can do more than just hotel reservations. iMagic Hotel Reservation software helps you to serve your customers better by making food allergy notes, record special events and birth dates. Make your customers feel unique and special by recording personal notes. It also welcomes them with their nickname at the door. Our Hotel Reservation software also makes it easy for you to compile weekly reports. With just one click you can analyze trends, plot graphs and compare your performance whenever and wherever you want to. It also monitors the performance of your promotions and advertising quickly and easily. The flexibility of our payment system allows you to add additional charges such as bar, laundry, meals or any additional add on purchase. Enabling you to offer more facilities to your customers and be updated with all those owing you. The features of this amazing software can be termed "INCONCLUSIVE" because it's like no other and it and the most amazing thing is that it comes at a very cheap price of $249 for a lifetime. Yes, you heard that. It's just too good to be true but as stated earlier it's just our gift to you. Step up your game today and Order immediately It's an investment that you won't regret Order now !!! October 2018 update for hotel management and reservations, add Business Rules to automate your business and increase repeat business. iMagic Hotel Reservation - hotel management creating guest connections through technology.